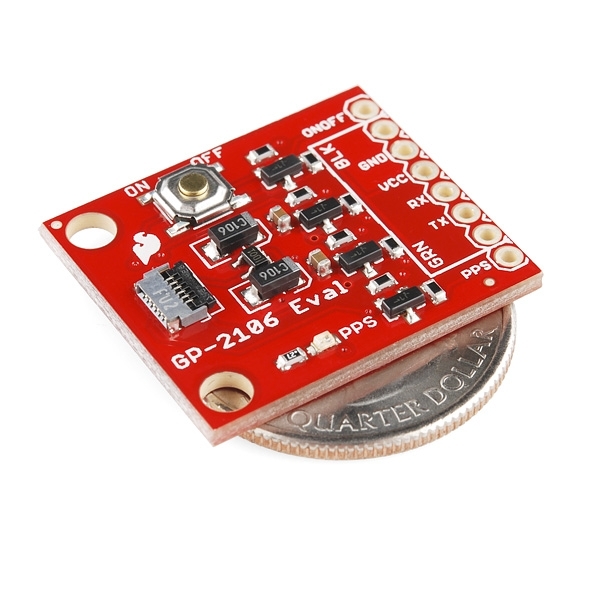 The GP-2106 is a really tiny GPS module. It's so small, in fact, that it's almost too small to use. Not only that, but the 1.8V logic levels aren't compatible with a lot of systems. So we rolled an evaluation board! Don't worry, it's still pretty small. 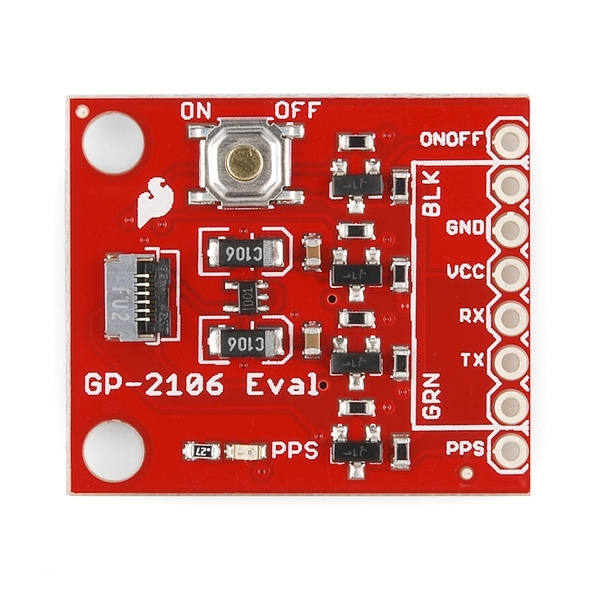 The GP-2106 Evaluation Board features everything you need to get the GP-2106 module talking to your system. 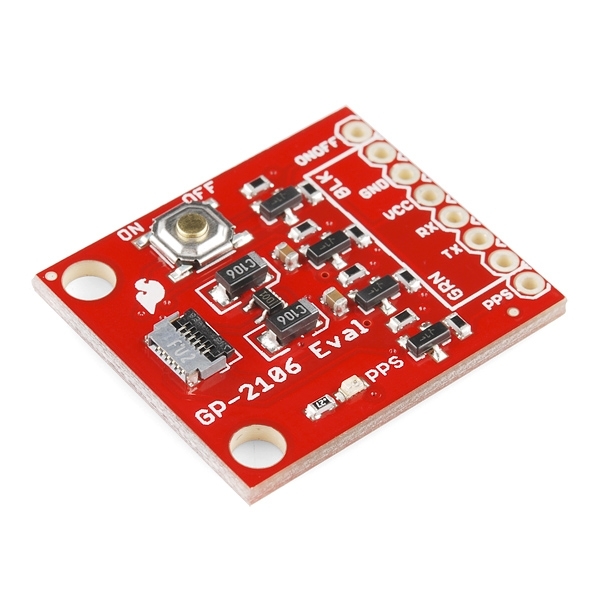 Because the GP-2106 is a 1.8V module, we've provided level-shifting for 3.3 and 5V systems. 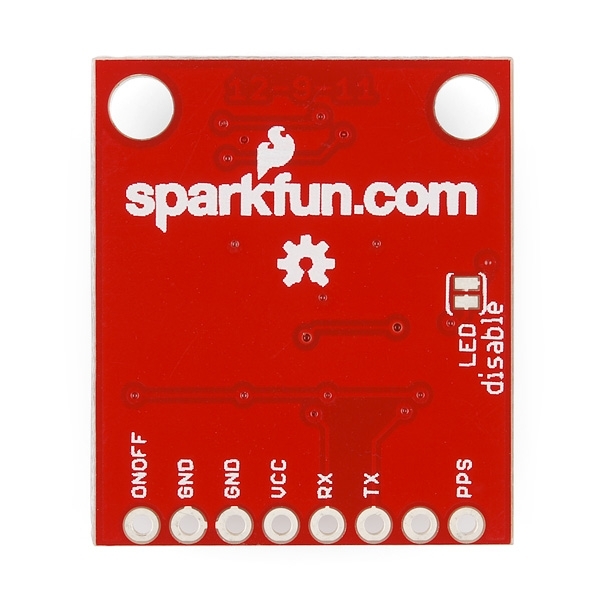 The board also features a PPS status LED, on/off button and an FTDI Basic compatible header! To turn the board on, you'll have to hold the ON/OFF button for one second. There is also an "ONOFF" pin on the board that you can use to turn the board on in-system by pulling it low for about a second.